We're going to take advantage of this beautiful song in order to learn how to play a diminished chords within a chord progression. In this song we basically start to work on playing a bossanova groove. The song is made out of one or two chord progressions but all the chords have four voices and so the sound is richer then the usual. 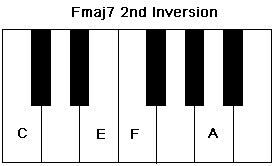 This piano tutorial contains six chords: C major chord, Fmaj7 chord, Fdim, Cmaj7, Am7 and Dm7. 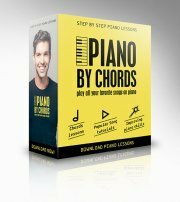 If you liked this tutorial and you'd like to expand your chords knowledge, you might be interested in the Hear and Play Piano Chords Course. When I went through this course I was happy with their attitude and the way they efficiently teach you how to form chords on the piano and use them in practice by teaching you how to play songs everyone knows and likes. 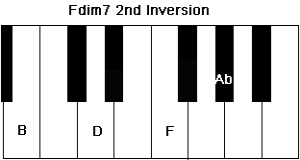 During this piano tutorial we will limit ourselves to playing all chords within the range of B under middle C and Bb above middle C with the right hand. 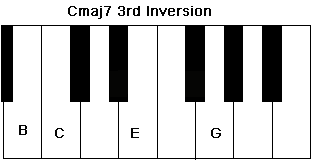 That means that we have to play all five chords in the correct chord inversions . 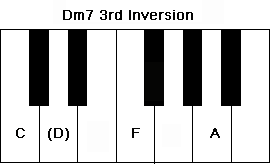 Here are the suitable chord inversions of all five chords within the given range. 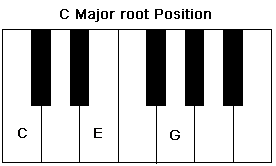 We'll set the left hand on the C position starting from the lower C.
I suggest you first practice playing one chord for each bar (or sometimes two chords in a bar) before you move to the next level and add the groove. The groove is a pattern in the right hand and the left hand that repeats through the whole song. Click here to learn more about how to groove. 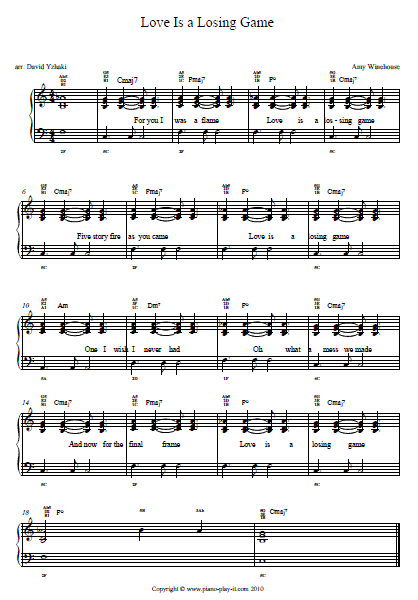 Here's a free piano tab of this specific arrangement that will help you through the way.